The Board dismissed a Section 2(d) opposition to registration of the mark LoanZilla for "mortgage brokerage," finding that the mark is not likely to cause confusion with the registered mark ZILLOW for a real estate information website and related services. Although the parties' services are commercially related, and although the customer classes and channels of trade overlap, the Board found the marks to be "extremely different in overall commercial impression," a difference that is "further emphasized" by the number and nature of marks incorporatinh the -ZILLA suffix in use by third parties." Zillow, Inc. v. Super T Financial Inc. DBA LoanZilla, Opposition No. 91203730 (July 22, 2014) [not precedential]. The marks: The Board perceptively recognized that the marks "are not identical," but they do share the letter string ZILL. Opposer feebly maintained that ZILL is the "most distinctive and memorable part of each mark," but the Board saw no reason to focus on ZILL as a separate element. To do so would be an "impermissible dissection of Applicant's mark." Applicant Super T maintained that "Zilla" is a play on "Godzilla," and its logo resembles a lizard. It provided a Wikipedia entry for "-zilla," defining the term as "an English slang suffix, a back-formation derived from the English name of the Japanese movie monster Godzilla." Applicant also made of record evidence of third party use of "-zilla" formatives, as well as a number of third-party registrations of "-zilla" marks for a wide variety of goods and services. Although the registrations do not demonstrate use of the registered marks, "they do demonstrate that the suffix -ZILLA holds some special appeal for applicants." Opposer Zillow argued that the -ZILLA evidence was irrelevant because "Godzilla" has nothing to do with mortgage brokerage services, and further because most of the evidence of third-party use was unrelated to mortgage brokerage or real estate. The Board agreed that this evidence does not show that the ZILLOW mark is weak, but it does show "the special meaning that, according to Applicant, the suffix -ZILLA has for trademark applicants." Furthermore, the evidence of third-party use of -ZILLA marks (e.g., BUGZILLA, MOZILLA, SHOPZILLA, EVENTZILLA), although unrelated to real estate or mortgage services, suggests that "customers likely can distinguish between Opposer's mark and marks that include the suffix -ZILLA on the bases of other element in the marks. [But if they are not in relevant fields, who cares? - ed.]. The Services: Opposer Zillow's core service is the provision of a website of information related to real estate, searchable by address. One feature of the service is the provision of an estimated value for the particular parcel of real estate. Many customers have an interest in information about financing a home purchase, and Zillow provides information regarding loan rates as well as an online form for requesting a loan from participating lenders. 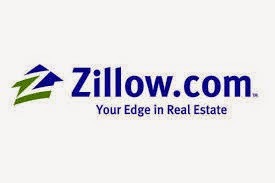 Zillow admitted that it does not provide mortgage brokerage services. However, for purposes of Section 2(d), services need not be similar or competitive; it is sufficient if they are related in some manner such that they would be encountered by the same persons in circumstances that could result in confusion as to source. Here, the parties' services are commercially related. Zillow provides some of the functions that customers would obtain as part of mortgage brokerage services, and one of its registrations covers "providing mortgage and home equity loan quotations to others." And its website includes advertisements for real estate professionals, including lenders and mortgage brokers. There is a substantial overlap between the classes of customers, but the conditions of sale includes an element of care, which makes this du Pont factor lean slightly in favor of applicant. Zillow claimed that its mark is famous, but its sales and advertising figures were not properly verified. Although the figures show substantial growth for its business, the numbers were not placed in meaningful context for comparison with similar businesses. Its other evidence of fame was unpersuasive, and so the Board found this factor to be neutral. Zillow provides services in various fields, including finance, and this factor pointed in its favor. The absence of actual confusion was a neutral factor because there was no evidence of a meaningful opportunity for confusion to occur. Finally, although applicant admitted that it was aware of the ZILLOW mark when it adopted its mark, and had considered advertising on the ZILLOW website, that was not enough for the Board to conclude that applicant acted in bad faith. Balancing the relevant du Pont factors, the Board found confusion unlikely and it dismissed the opposition. TTABlog note: This was a bit of a yawner. This case highlights the importance of the need to properly introduce evidence in trademark opposition cases. Despite the fact that Zillow is a publicly traded company with substantial revenue, it did not properly introduce its sales and advertising and marketing expenditures into evidence, which led the Board to conclude that Zillow’s annual reports, without further substantiating testimony as to the veracity of the figures, were hearsay for the purpose of Zillow’s claim that its trademark was famous. No amount of fame evidence would have overcome the sheer difference between the marks ZILLOW and LOANZILLA. The opposition should never have been filed.